Last month I posted a picture on my Instagram page of the new Illamasqua Matte Lip Liquid from the Summer 2014 "Matte Effect" collection and I've had a play around with it and absolutely love it! I have to say I was a bit worried at first about the shade Forbidden as it seemed very cool toned for my dark/pigmented lips; but after trying Luster from the previous Illamasqua Glamore collection (blog post here), I've been more drawn to these cooler toned shades as I've been wearing them by blending the coolness away with my fingertips, which helps make the product look less pastel-like on my pigmented lips, as you can see in the swatch below. Colour & Pigmentation: "Forbidden" is described as a "sensual pink" which is most definitely a cool toned pink. There's no doubt the Matte Lip Liquid is highly concentrated and pigmented.. a little goes a long way, particularly when I'm using it blended with my finger. Texture: The texture of this product is fairly thick, which means less is more. On application the Matte Lip Liquid feels creamy, but once the product sets, there can be a slight dry feel to it. I always use lip balm and tissue off excess before wearing matte lip products to eliminate any discomfort. Longevity: This product is actually probably the most long wearing lip colour I own.. which is saying something as I have a tonne of lip products! The fact that it is matte definitely helps with longevity, but I've eaten fairly oily foods with this product on the lips and it still manages to keep its colour on the lips once I'm done eating! Scent: There's a faint vanilla/sweet smell to the product that I have to say I love too. 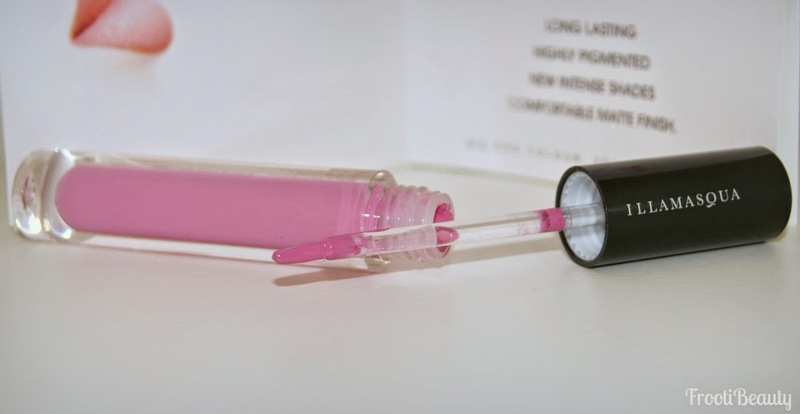 Price: At £18.50, this lip product is more on the pricey side, however if you're a fan of long wearing products like I am, it's worth investing in, not to mention the fact I wear the product thinly, so use much less than a usual lipgloss etc. 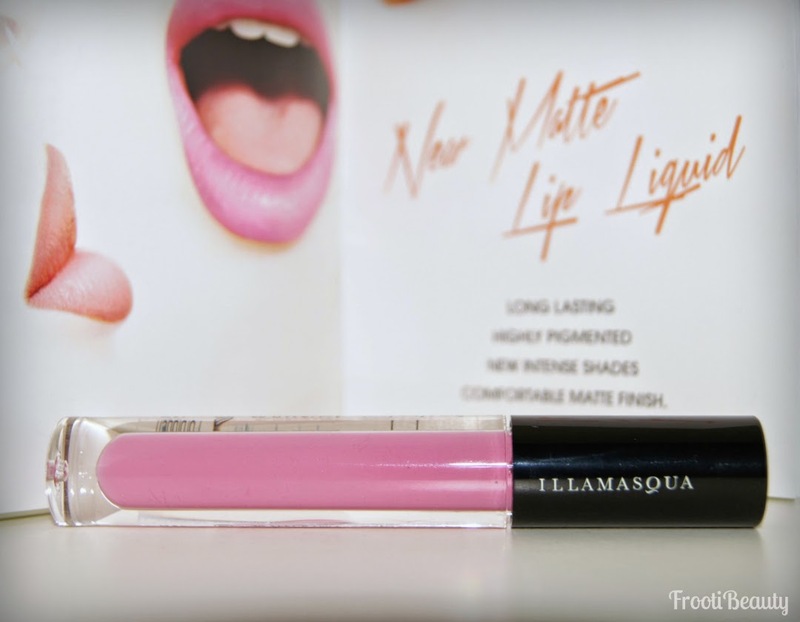 I'd give this product a 4.5 out of 5, purely because I'd prefer a different applicator; I do love this product though and would love to see more shades as with the satin lipsticks, so I hope Illamasqua continue making more amazing products! The new Matte Effect collection for Summer includes the Matte Lip Liquid in 3 shades, Velvet Blushers in 4 shades (one a web exclusive), a new Matte Veil primer/base, and a Matte Top Coat nail varnish. All are available at Illamasqua.com or at Debenhams. 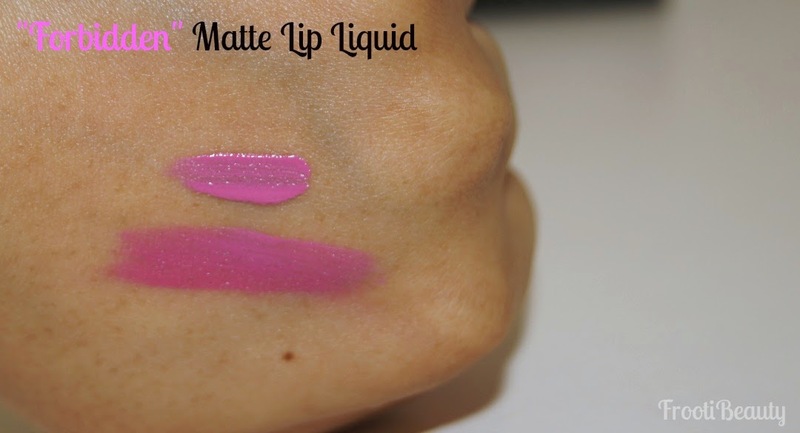 What do you think of the Matte Lip Liquids? Have you tried any of the products from the Summer 2014 Matte Effect collection? As soon as I saw Urban Decay release the information about a new range of "Perversion" eyeliners, I knew I had to try at least one from the collection and I had my eyes set on the new Perversion Super Saturated Ultra Intense Cream Eyeliner; seeing as these names are getting more and more lengthier, I shall abbreviate this product to: SSUICE. Currently, my most used black eyeliner for makeup looks is the Inglot AMC gel eyeliner, which I haven't found a darker/blacker eyeliner than, to date. Naturally, having tried the Urban Decay 24/7 eye pencil in Perversion, I was interested to compare this SSUICE to the Inglot one. Also, being a true Urban Junkie, I also wondered if the new Cream Eyeliner compared to the old Ink For Eyes Cream Eyeliner, which came in a long thin package with a small angled liner brush (pic here courtesy of Cosmetic Candy). I have to say I still use this brush for my brows and eyeliner as I haven't found a thinner brush yet, so I also wanted to see how the new Perversion Angled Brush compared. 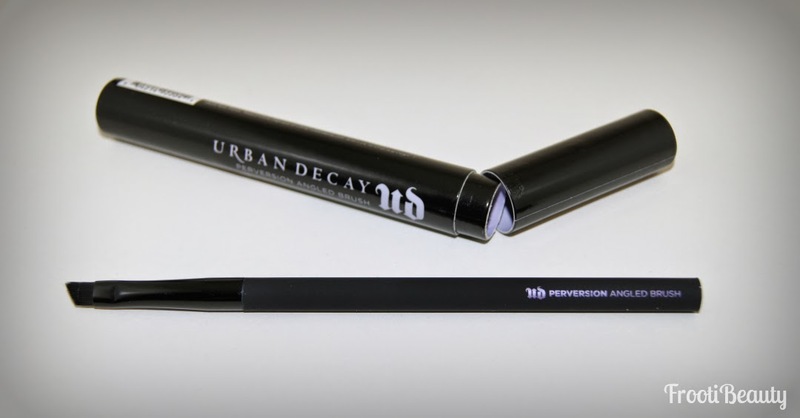 Unfortunately the SSUICE doesn't come with a brush, however Urban Decay have released a new liner brush (the Perversion Angled Brush, £12) especially for use with the SSUICE and thankfully it's angled which I find is the easiest brush to use. 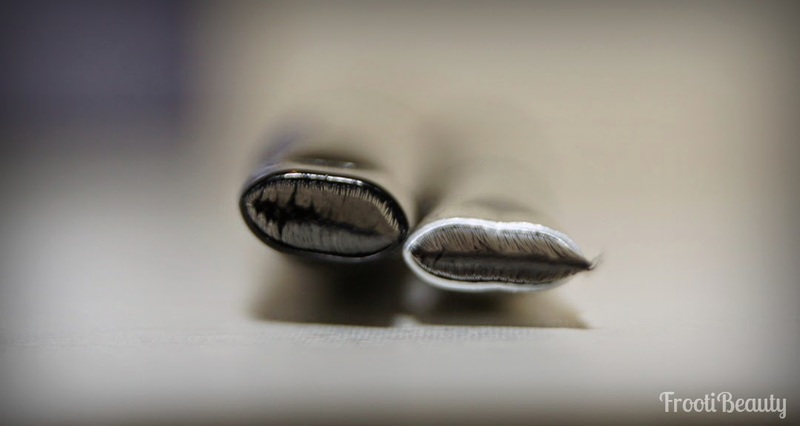 As you can see, the top swatch is the thinnest which was done with the old Ink For Eyes brush (comparison below). The bottom swatch is done with the brush as is; straight out of the packaging, whilst the middle swatch is done with the brush pressed together with a makeup wipe, which allows a thinner line to be achieved. Colour & Pigmentation: The SSUICE is indeed a very dark black, however compared to the Inglot AMC Gel liner, it seems more browner in colour. 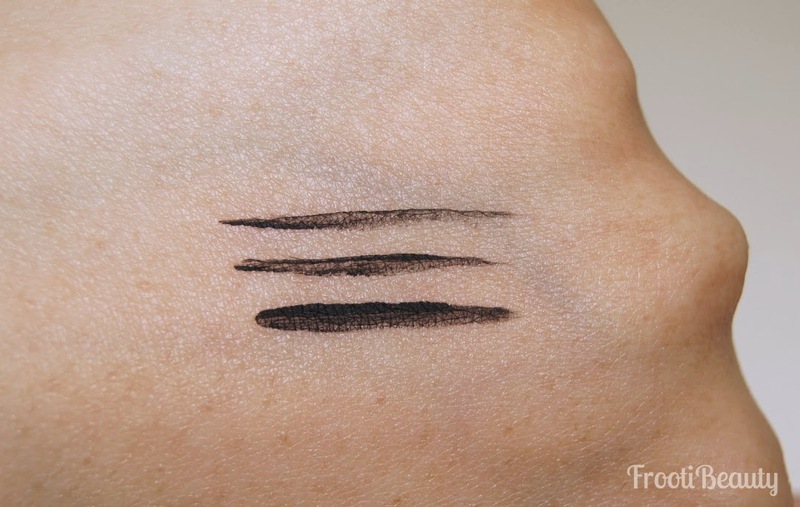 Pigmentation wise, the Inglot Gel liner is definitely more pigmented, whilst the Urban Decay SSUICE is more thinner/creamier in consistency, which is probably why it seems browner in colour when swatched. Texture: The texture of this product is supremely silky and glides on beautifully with a slight sheen finish. 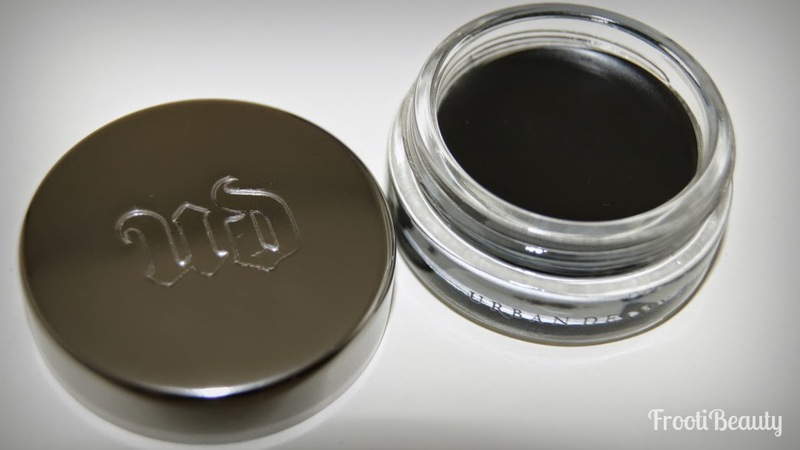 Packaging: The packaging is definitely a massive improvement to the old plastic Urban Decay Ink For Eyes; the glass pot and gunmetal lid certainly have a more luxurious and classy feel. The Perversion Brush also has a different appearance to the rest of the brushes by Urban Decay as it is black in colour and also has a soft touch handle which is more comfortable to use. Longevity: The SSUICE lasts pretty long as expected from a waterproof product from Urban Decay; the swatch itself had to be scrubbed off with a makeup wipe, but thankfully it comes off with ease using an oily makeup remover. Price: At £16, the SSUICE is £1 more than the MAC Fluidline Gel liner, or £6 more than the Inglot AMC Gel liner. The Perversion Angled Brush is reasonably priced at £12 for a one off investment that can be used with other gel/cream liners. The Cream Eyeliner and Perversion Angled Brush are available to buy from the following retailers: Debenhams and House Of Fraser and online at Feel Unique and BeautyBay. What do you think of these additions to Urban Decay? Do you prefer pencils or pots to apply eyeliner?